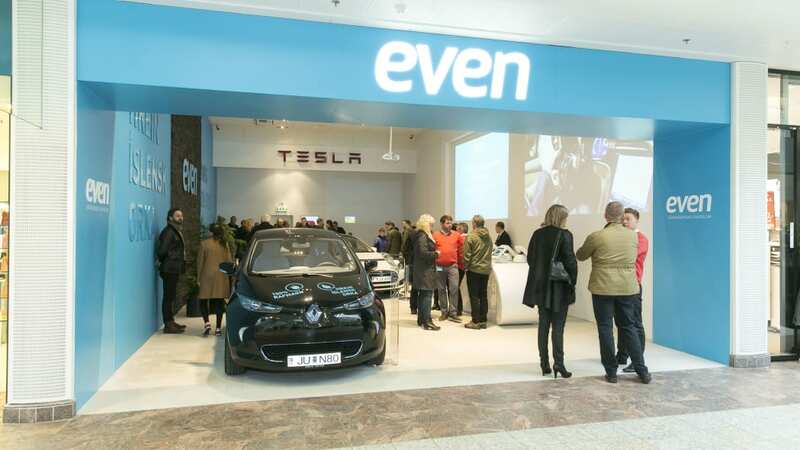 Q&A with EVEN Electric: Will online sales revolutionize EVs? We sit down with Gisli Gislason, Mike Elwood, and John Gordon. Cars with alternative powertrains need alternative sales methods. 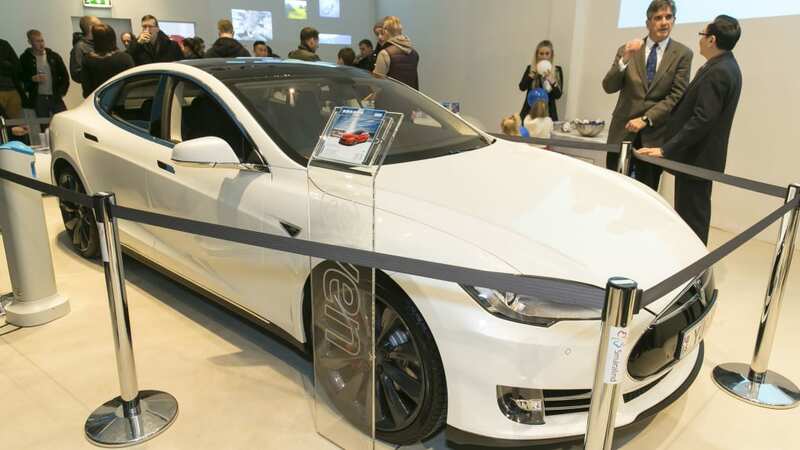 That's the reason Tesla eschews the traditional auto dealer model in favor of company-owned stores. Other automakers are trying to let plug-in vehicles exist alongside gas-powered ones, but that doesn't always work out well. 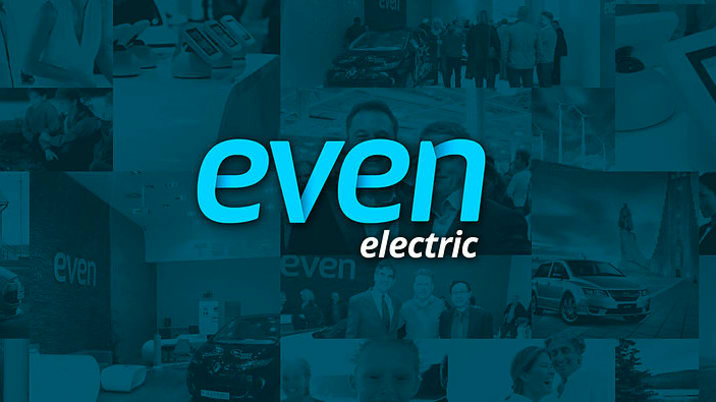 Enter EVEN Electric, a new (and somewhat old) company that's going to single-mindedly promote plug-in vehicles – PHEVs and pure electrics – at stores around the world, with a heavy online component. 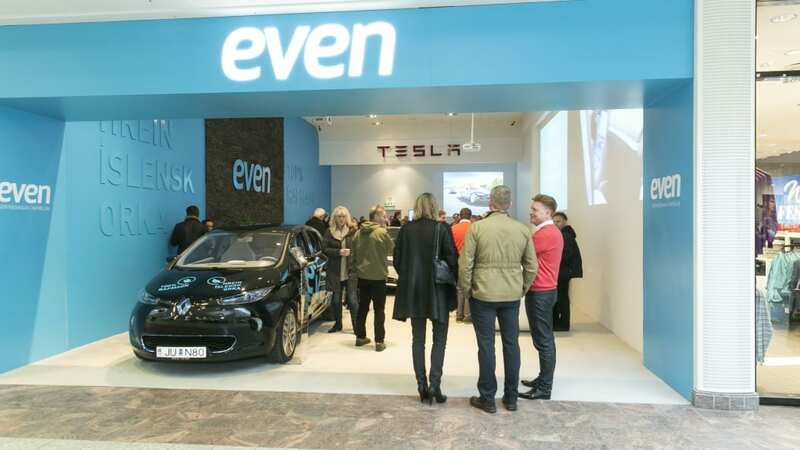 EVEN is planning to open its first branded stores in the new style later this year or in early 2017. Just after EVEN Electric's launch announcement in Ottawa, we got to sit down with the three main players for a long talk about how this is all going to work. They are Mike Elwood, CEO, John Gordon, COO, and Gisli Gislason, chairman and founder. 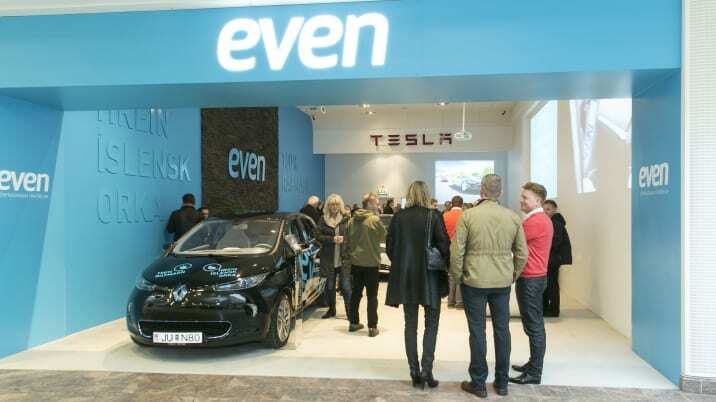 We discussed if they can sell new EVs, buying cars online, and if they expect any pushback from traditional dealers. ME: I'm thrilled that we're out of the gate. We're still in the planning stage, but at some point, you got to pull the trigger and go, right? ABG: What was it that prompted it to be now? ME: Just this event [EV Day in Ottawa], actually. We are a federally incorporated Canadian company, and this said, "You know what? Maybe this is it, let's just get it going." At least to have a launch platform for us was important, for me, and I think for all of us. Otherwise, you go out as a soft launch and no one really knows. We wanted to create some excitement around the brand that we're building and then about the opportunity that exists with EVEN Electric, globally. ABG: Right, and yet there's all kinds of questions about those kind of things. What does coming out now and using this as the launch do? Does it start a timeline in any way? Can you go look for money? What are the things that happen now that you're announcing it in a broader way? ME: I think, and I'll let John jump in here too, but I think what happens now is operationally we have to become mobile. We've got opportunities with one country in particular, Panama, who's been waiting for a while for us to facilitate a deal that was done some time ago, and then we will get other projects going as we move along. We're finishing up a business plan. Once the business plan is done it will follow up and tell us everything that we need to do relative to capitalization, where we want to go. ABG: What estimates are you looking at? Let's say you get $10 million, is that enough to do something? Is $1 million enough to do something? ME: With a 10 million dollar capitalization, private equity, whatever, we then where John's processing facility becomes a reality. Everything that he wants to do with the processing facility can be done. ME: In California. Then we could expand organically by selling territories and doing things but this would accelerate the process and allow us to sell into more countries, cities, states, provinces, and so on because [John] would have the center set up with the supply of used EVs ready to go. Gisli then will be doing his thing and we will all be participating, but he'll be doing his thing with the new EV guys and everything that's out there. We start to put them all through the distribution channel. ABG: The first thing that jumped out at me when I looked at the press releases, used is going to be a heck of lot easier to process, to figure out how to get and sell the new cars. Just give me the idea of how does EVEN Electric sell a new Nissan Leaf or a Tesla? 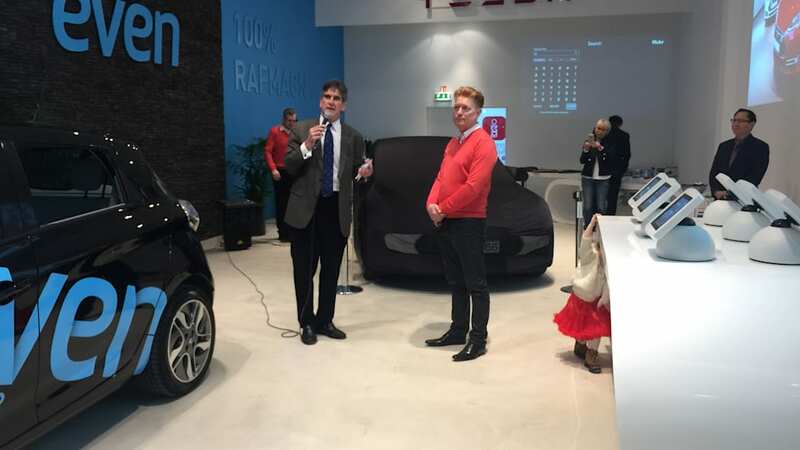 JG: We can definitely sell the pre-owned, I've been doing it and in my lot right now I have a 2016 Nissan Leaf with 500 kilometers [310 miles], so we can source like-new vehicles and offer them at discount prices. If Nissan is willing to work with us, or GM has a lot of these guys, it would be fantastic and we have been in talks with them. I'm not saying that anything is going on with them but we're open to working with any quality electric vehicle manufacturer. But there's an endless amount of pre-owned, and pre-owned electric vehicles are quality because there are very few moving parts. I've been in the industry for three years, they're just fantastic and the price is just amazing. Going into a place like Newfoundland or Panama that has very little or zero electric vehicles, to be able to bring these in at affordable prices, even with no incentives, that kind of thing, it makes the difference in somebody buying an electric vehicle or not. The guys that I'm really excited about – there's a long list of them – are the new companies coming out now. Karma will have their car out soon. Faraday Future is working on something. BYD out of China, they're not a small company or new by any means but these are the guys that I think that we can really work with on distributing their product because they're the ones that are going to need it the most. ABG: You said you have a lot right now so what is the business that you've got, that you've been doing? JG: I established Green Rock EVs back in 2013 in St. John's, Newfoundland. 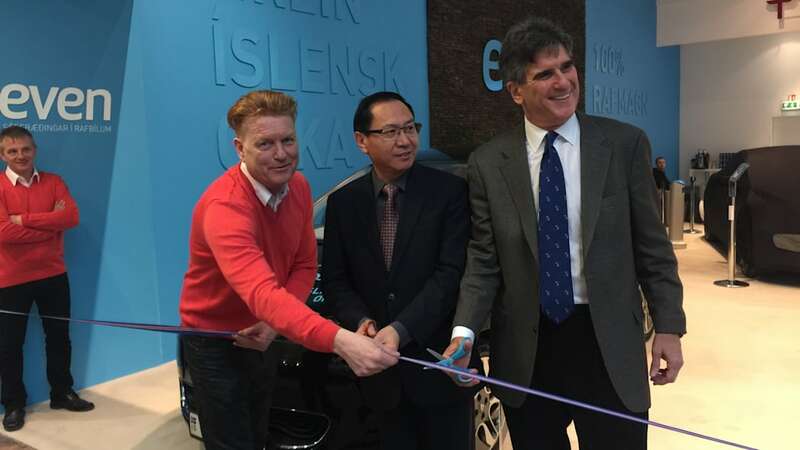 It'll be the first multi-brand electric vehicle dealership and service center in Canada. We bring in about 75 percent of the electric vehicles in the province. We sell, again, pre-owned Teslas, Leafs, Volts, Cadillac ELRs, Chevy Sparks. That's it for now, but again, any quality EV that we can get our hands on. We have all the tools and the equipment and training to service all of those except for Tesla, but when Tesla does service Teslas in the province, they generally use my service center to do so. We've also done some training on the BYD bus when they had it going across Canada. They actually invited us out because we're the only independent EV service guys that they can actually call. My barrier as a small independent dealership is inventory. I can only allow 8 to 12 vehicles. Someone comes in and I sell the car to them but they want it in gray. If I had some kind of backup, if I had a corporate backup that said, "We're planning on having a hundred-plus car inventory, pre-owned, and then also add the new ones into it..."
So, have inventory at a processing facility in California where it would be cleaned up, serviced, 360-degree image photographed, then up to the Cloud. 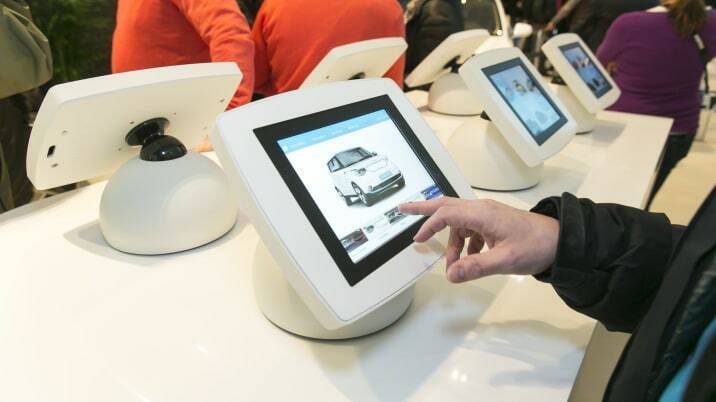 Then every dealership, every customer center globally would have access to that. Shipping them efficiently, and you got the Microsoft guys we're working with on creating a system for that. 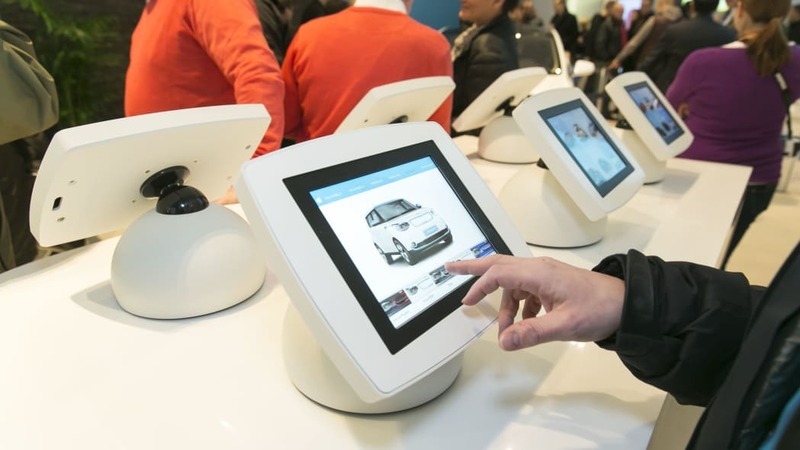 Just streamlining everything and a customer center could be very, very – what's the word? - cost effective. A typical dealership could be in the millions of millions of dollars. A customer center could be somewhere in the $100,000 range. To have a small customer center with 8 to 12 vehicles, one service bay, one cleaning bay and that's it and you can sell a lot of vehicles and service a lot of vehicles. Again, electric vehicles require about six times less maintenance than a gas vehicles so you sell and you can service a lot of vehicles out of one bay. ABG: Right. Is this some of the things that you've learned from the 1-year store in Iceland? ABG: Tell me a little bit about that 1-year project. GG: Yeah, simply that we did to see if it would attract people, if you could also sell cars online. We found out through this experiment that it works. I have the luxury of looking ahead. My list is 5 years ahead now and I think in that time, you won't use dealers anymore. You just buy the cars online and that's what we are planning and getting ready for. We're practicing and we feel that the market is ready. We want to be able to take the cost out. We think there's an easier way to do it and that's what we found out. People are not afraid to buy cars online. ABG: How many cars did you sell online sent through that store? GG: 100, and that's huge in Iceland. We could have sold more. The time is actually right now. This is the time to go into this business. ABG: You're talking about Panama, you've talked about Newfoundland. After these stores that you're talking about, where will we see more? Do you know? Do you have the road map in your head? GG: There are a lot of people that have approached us, said, "We want to be a part of it." It's folks out in Sweden, Belgium, Finland, Iceland. Probably, the first store will be on the Rock. JG: Halifax, through our research, was determined to be the number one place to sell EVs in Canada. 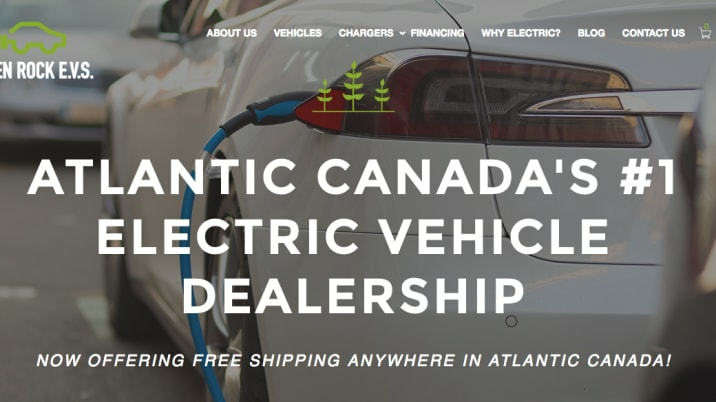 Although they don't have incentives, Nova Scotians are more likely to buy an EV. With our model - again, it's not about incentives, it's about affordability – we're able to buy affordable vehicles and there's a huge pent-up demand globally, and we want to get to those areas. ABG: If you're buying it online, obviously, you still have to wait for it to be shipped. What is the best case scenario or what is an average scenario for somebody in Newfoundland, someone in Belgium, wherever, says, "Okay, I want that car." They click on it and then now what happens? JG: After the research that came out of the Sierra Group out of California saying that, "No, you can't just walk into most dealerships and buy an electric vehicle, they're just not there. JG: The salespeople aren't helpful, all the formal things about the experience, and that's on the West Coast or the top 10 states that have electric vehicle sales or mandates. If you come over on the East Coast of Canada, there's no EVs at the dealership so that's one advantage but to answer your question, the lead time could be as well as 4 days up to 12 days so people with the amount that they're saving by going through us, I think that's a great number. GG: If you're in Finland or Iceland or Halifax, you'll see the same car but with a different dates. ABG: Will a customer have to come into the store? Can they do everything online. JG: They'll do everything online, absolutely. They're there if they want to test. ME: Then the demographics really changing for the EV buyer. On the Tesla side it's male dominated, very successful, but as more of the EVs come to market, we're seeing younger people look at these vehicles, and they are very comfortable buying online. They buy everything online. JG: The other thing is that I think the number is that 78 percent of people buy vehicles under $30,000. There's not a whole of selection of EVs out for under $30,000. Most of our vehicles are under $30,000 so we're hitting people that want to buy electric but can't afford it. Now they can afford it. ME: If we do our job right and we build up the critical mass that we need, who knows what we will be able to do. ABG: Do you expect some sort of pushback from the traditional dealers? GG: If we do things right, the dealers will help us. ME: Traditionally, they're not into it. 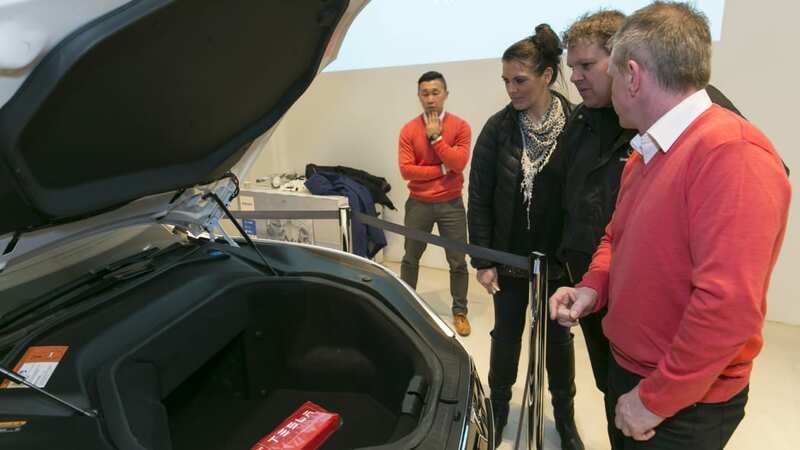 We've all gone to the dealership and been chased out because you're looking for an electric vehicle. "Get out, we don't sell those." But we do. JG: I think that Nissan and GM are doing a fantastic job of building a car. But the dealers are doing a lousy job of selling. They can build as many cars as they want but if the dealers aren't selling them then it's not going anywhere.